By Jamie A., November 13, 2016 in Have a tip or idea? All living organisms utilize light in two ways: a source of energy to drive photosynthesis, and a source of information to drive photomorphogenesis and photoperiodism by targeting specific signal-transducing photoreceptors. We develop spectral composition solely for photobiological responses. 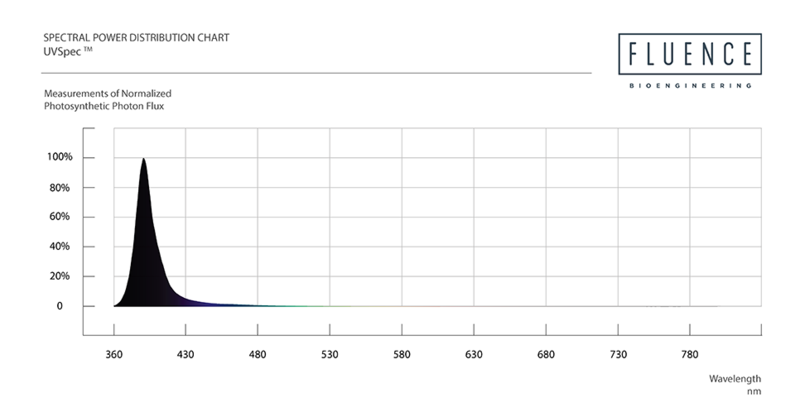 We don’t design for visual acuity, and we don’t mimic the sun’s spectrum. 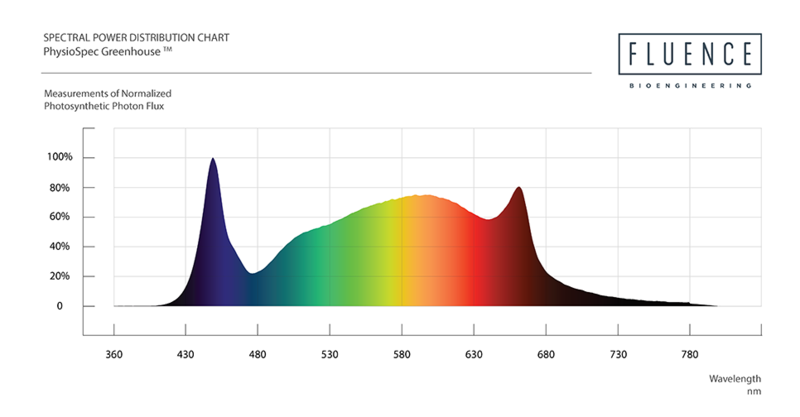 Our wavelengths are tailored for particular photomorphogenic responses, photoperiodic signals, chlorophyll A and B absorption, xanthophyll carotenoid pigments, and anthocyanin accumulation in plant tissue – along with unknown photoreceptors – to name a few. The original. PhysioSpec is available with RAZR and designed for rapid root development and tight internode spacing for seedling and cutting propagation, along with full-cycle cultivation of leafy greens and microgreens. As with all Fluence PhysioSpec spectra, PhysioSpec is a broad spectrum designed first and foremost with cultivation in mind, yet has the added benefit for an ideal research and cultivation environment. To create the most advanced spectrum for complete physiological plant growth, we had to challenge every assumption. Not only did this make the spectra better, it made it beautiful. 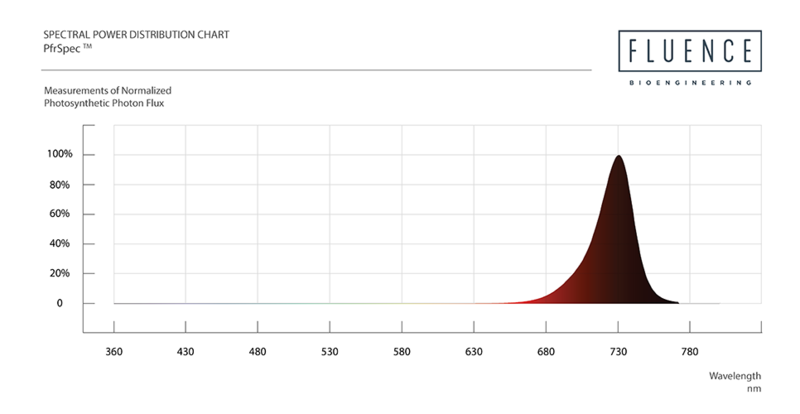 Previously, 660nm (red) and 450nm (blue) were the most efficient LED packages, and coincided with peak Chl A and Chl B absorption areas. This led to a negligence of key photoreceptors and pigments outside this range. PhysioSpec Indoor is a full-cycle spectrum optimized for rapid growth and complete plant development. Tailored for growing plants from initiation to senescence (germination, clones/cuttings, mothers, vegetative and flowering applications) in indoor environments. With a CRI rating of 85, PhysioSpec Indoor offers a beautiful work and research environment with vivid colors and greater contrast to study the health of your crop. 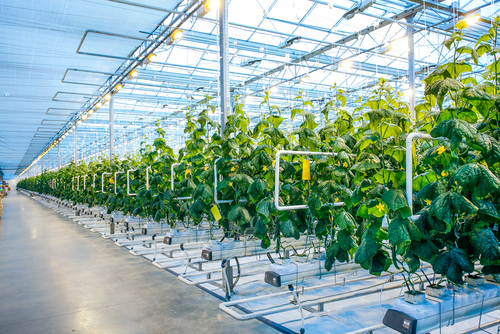 Compared to PhysioSpec Indoor, PhysioSpec Greenhouse is enriched with a higher amount of blue photons in the 400-500nm range, which are used to offset plant stretch induced by the sun’s far red radiation. As an added bonus, PhysioSpec Greenhouse offers a world-class work and research environment with vivid colors and greater contrast to study the health of your crop. With dual-peak spectrum at 450nm and 660nm, AnthoSpec is designed to provide rapid anthocyanin accumulation in plant tissue (i.e. purple lettuce coloration). Based on the latest academic research, AnthoSpec is the most efficient spectrum for increasing anthocyanin production in plants. With a peak spectrum at 730nm, PfrSpec™ is designed to exclusively target phytochrome far red photoreceptors. 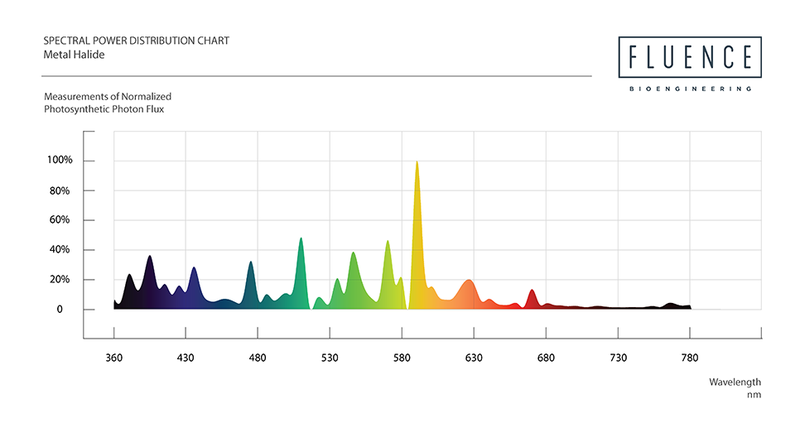 This spectrum is widely used to target Phytochrome Far Red (Pfr) in photomorphogenic lighting applications, and it is used to lengthen the dark period to encourage the flowering process in Short Day Plants. 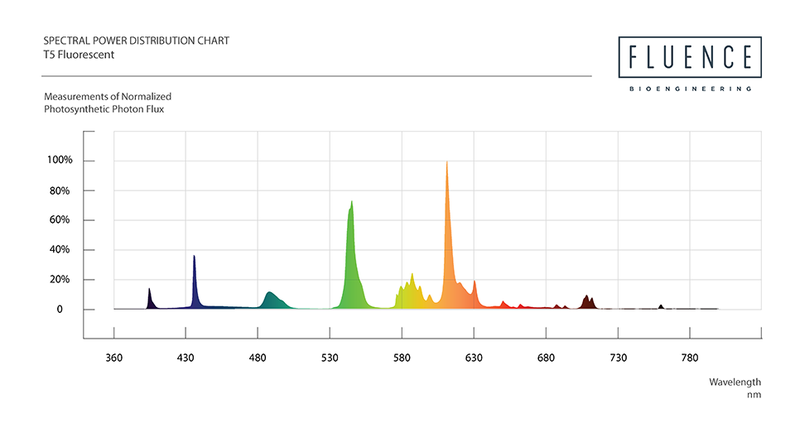 With a peak spectrum at 660nm, PrSpec™ is designed to exclusively target phytochrome red photoreceptors. 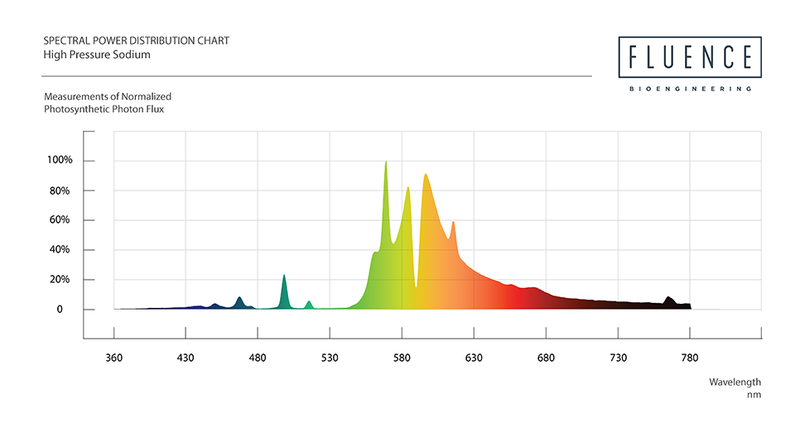 This spectrum is widely used to target Phytochrome Red (Pr) in photomorphogenic lighting applications, and it is used to delay flowering in short-day plants. 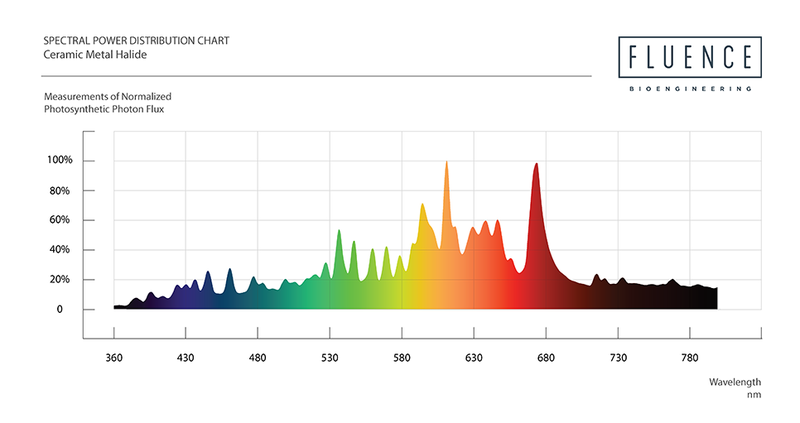 With a peak wavelength of 400nm, UVSpec™ is designed to provide beneficial photomorphogenic responses by creating a mild stress response in plants. As an example, when applied correctly, research shows increased THC content in cannabis plants. When applied incorrectly, research shows UV stress causes photoinhibition of chloroplasts, resulting in lower biomass production, photobleaching and death of leaves. 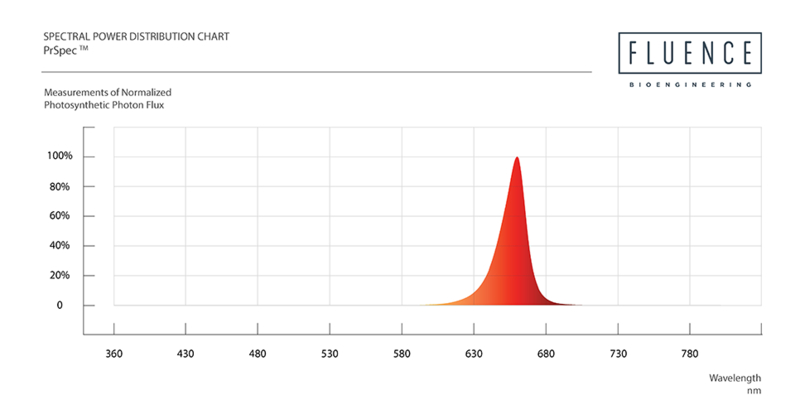 Browse our catalog of spectral power distribution charts to see how PhysioSpec compares to a few of the more prevalent grow lights being used today: ceramic metal halide (also known as light emitting ceramic or LEC), high pressure sodium (HPS), metal halide and T5 fluorescent. Indoor horticulture has historically been limited to hobbyists and a few growers who pursued indoor plant growth as a passion more than as a commercial venture. LED lighting technology is now changing the face of horticulture by making it a viable supplement to the commercial production of food crops. Several aspects of LED lighting are contributing to the renewed growth of horticulture. LED lights reduce or eliminate the need for pesticides. 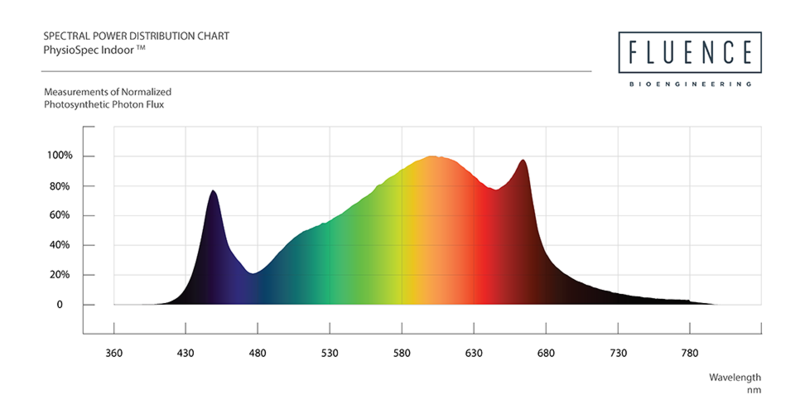 Natural sunlight includes a broad spectrum of different light bandwidths and colors. Traditional artificial light typically replicates only a small portion of that bandwidth and omits the bandwidths that plants need for photosynthesis. New generation LED lights can be tuned to the optimum bandwidth and spectral characteristics that promotes the best growth in individual plant species. Moreover, unlike traditional indoor growth lights, LED light fixtures generate virtually no excess heat that might harm plants during their growth cycles. Less heat also means less water consumption and lower moisture loss due to evaporation. With LED lighting, an indoor horticulturalist can fine tune both the light and temperature throughout an indoor growing cycle to generate the most robust and healthiest plant growth. The initial costs of an indoor horticultural light system are higher than other grow lights, but LED operating and maintenance costs are substantially lower, and initial expenditures can be quickly recovered through costs savings. 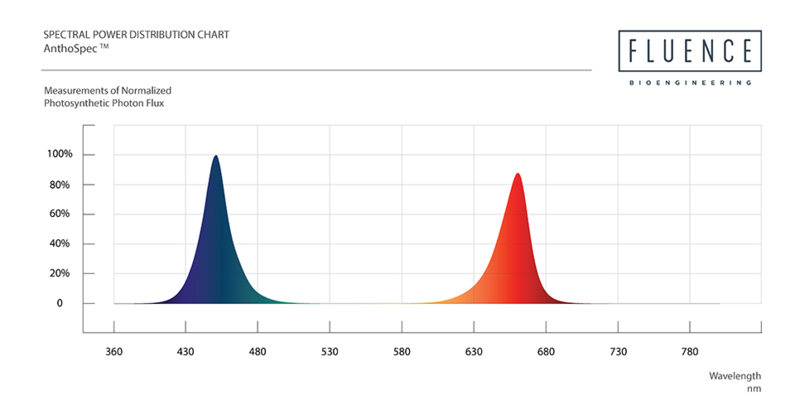 LED lights generate the same or better illumination with less than one-third of the energy input, and as noted, the spectral characteristics of that illumination will better match a plant’s needs. LED horticultural lighting can also be used to generate plant growth on a year-round basis. Rather than being limited to one or two growing cycles that may be feasible with natural light, an indoor horticulturalist might be able to generate three or four crops per calendar year. 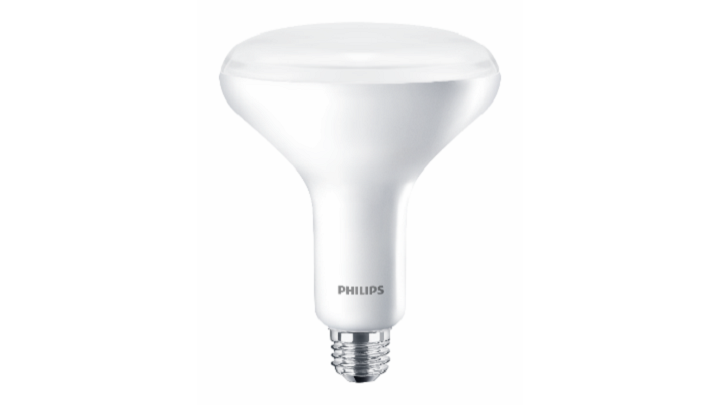 LED bulbs contain no mercury or other hazardous chemicals and impose no special disposal or other permit obligations on indoor growers. Because they operate at lower electrical loads, LED lights also have a significantly lower carbon footprint. 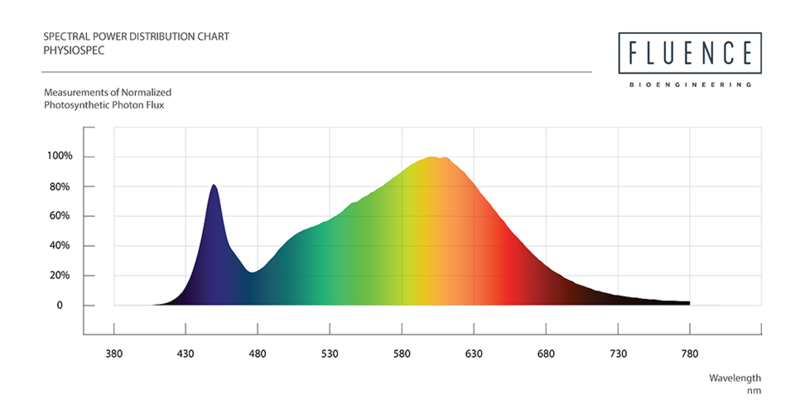 LED’s with advanced lenses and optics are more directable to specific growing areas and generate less excess light that might contribute to light pollution. As inner cities and other urban environments are evolving and adapting to different uses, indoor horticulture in is rushing to fill in spaces that previously had been used for residences or commercial purposes. 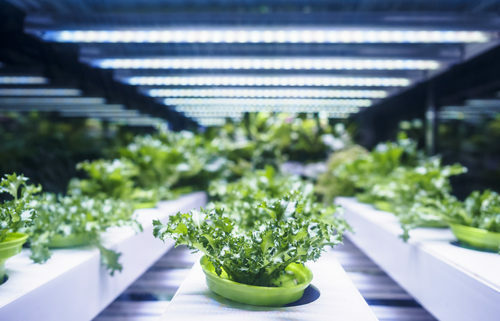 Space limitations imposed by smaller city lots are easily overcome with vertical farming systems that incorporate LED lighting across tiers of plant growth. 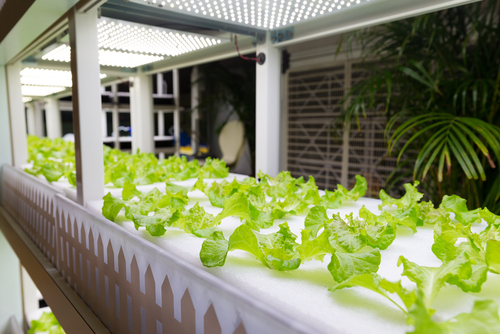 LED horticultural lighting gives city residents an opportunity to grow fresh and healthy produce while eliminating the need to bring produce in from distant farming communities. Pest infestations that might harm plants are easier to control in indoor growing environments. 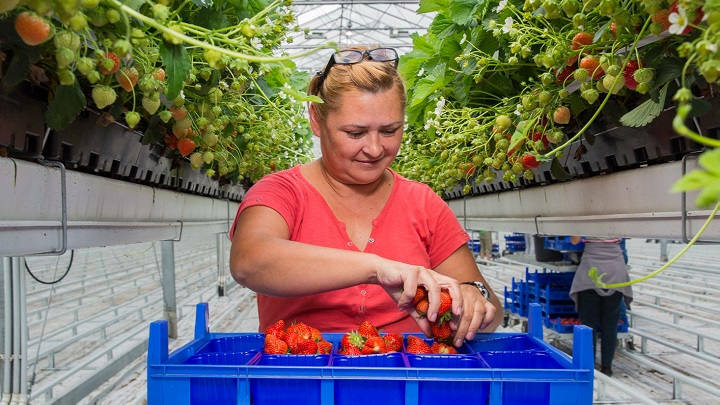 Under the right conditions, an indoor growing facility can eliminate all use of pesticides, producing crops that are chemical-free and that meet organic growing standards. The inaugural LED Lighting Research Summit in Fort Collins, Colorado offered vibrant discussions and idea sharing among horticulture professionals and academics. This past Jan. 16-18, the advantages, challenges and opportunities of LED lighting dominated the conversation at the LED Lighting Research Summit in Fort Collins, Colorado. 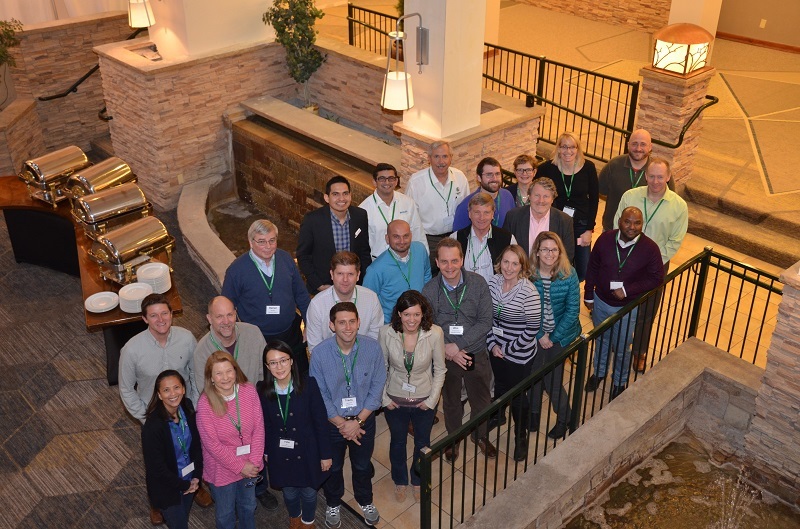 The event, a collaboration between Colorado State University (CSU) and the horticulture LED lighting group from Philips Lighting, brought together growers, researchers, academics and other interested parties for two and a half days of focused discussions about LEDs in a horticultural setting. Editor Karen Varga of Greenhouse Management and Produce Grower was there to take it all in. Before opening the floor to the researchers who would be presenting their findings on Tuesday and Wednesday, attendees had the opportunity to mingle and enjoy a reception and tour in the ideal place to be when snow is on the ground — a warm greenhouse. In 2016, CSU completed the greenhouse for its new Horticulture Center, an approximately 20,000 square foot Nexus structure with Philips Lighting toplighting, Wadsworth Controls (a Colorado-based company) control systems, Modine heaters and American Coolair fans. At the greenhouse, attendees saw the hydroponic hops research conducted by Dr. Bill Bauerle, a foray into the opportunities that having a year-round, locally grown wet hops supply would give local craft brewers. According to Bauerle’s presentation the following day, 75 percent of the wet hops in the U.S. come from Washington, and are only available for a very short period of time. Craft brewers in Colorado are willing to pay a premium for a locally grown, year-round supply of wet hops. At the time of our visit, Bauerle had already grown four crops, selling the harvest to Colorado brewers who produced beers like the “Dr. Bill,” a nod to the researcher. We’ll be looking more at this topic later in the year. Other research that was on display included projects that looked at the effects of light on seedlings, flowering and other aspects, in both ornamental and vegetable crops. During the opening remarks given by Ron DeKok, business development director of Philips Lighting, highlighted the fact that lighting is “one of the last unknowns in growing.” Much research has been done on other factors like nutrition and water, but there is still a need for more lighting research to maximize its potential. Dr. Steven Newman, greenhouse crops extension specialist and professor of floriculture at CSU, gave attendees both a welcome to the campus, and an overview of the evolution from CSU’s first greenhouse carnation research to today’s hops, flower and produce research. Wim van Ieperen, Wageningen University. “Effect of (LED) light on plants with emphasis on water relations.” Van Ieperen and his colleagues concluded that light quality does influence plant water relations in multiple ways, and impacts the productivity and quality of the crops. This study looked at cucumber and tomato plants. Ricardo Hernandez, North Carolina State University. “Supplemental LED lighting as a potential alternative to chemical plant growth regulators in ornamental plug production.” In this research, they applied types and amounts of light (varying spectra of LEDs, HPS or none), with or without PGRs to investigate the effect on selected dianthus, geranium and petunia varieties. Among the conclusions, they found that regardless of the cultivar, plants that were given LED light were more compact than their counterparts in the control and PGR treatments. They found that LEDs can be a “potential alternative to chemical PGRs” for these crops. Paul Karlovich, C. Raker & Sons. “Studies on LED sole-source production of ornamental plugs.” Karlovich’s main goals were to use LEDs to improve rooting and growth of ornamental plugs in a growth chamber at Raker, a wholesale plug and liner grower in Michigan. While his research is ongoing, he noted improvements in several areas, including a five percent improvement in rooting in Maverick Red geraniums and nearly 30 percent in tuberous begonias, and faster growth in gerbera and tuberous begonias. However, Karlovich concluded that he has the potential to improve the growing conditions even more, mentioning the need to do more research into optimum temperatures, light quality and quantity, and humidity to truly optimize his growth chamber production system. Travis Higginbotham, Battlefield Farms. “Sole-source LED Lighting Tissue Culture Acclimation.” Higginbotham began his research with LEDs to find a solution to the issues they were having at Battlefield with rooting stage three tissue culture during the hottest months of the year, July and August. Despite some initial scorch, the LED trials were successful, and he moved on to trial pansies, a crop with similar issues. Higginbotham said that one advantage of the rooting consistency they achieved was that it cut out some of the guesswork and more reliably schedule in vacation time for growers. The next research project he’s working on is the use of UV/UVC radiation for the delay and deactivation of Botrytis. Bruce Bugbee, Utah State University. 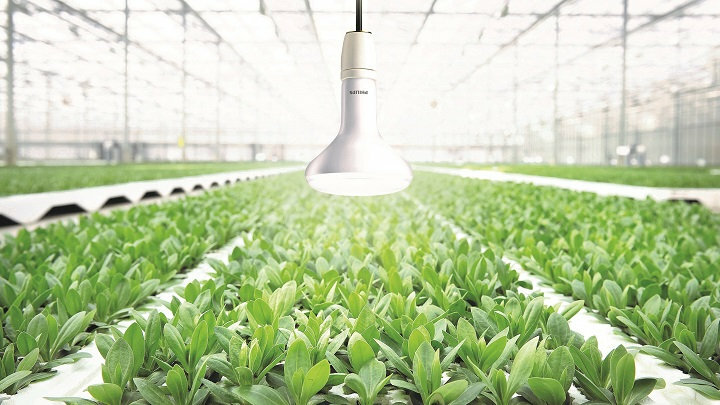 “Six considerations for determining the value of LEDs in commercial greenhouse applications.” Bugbee’s presentation took a critical look at the situations when it makes sense to use LED lighting – and when it doesn’t. Among the six considerations, he discussed the time to recover the initial investment into LEDs, maintenance costs and spectral effects on plant size and shape. While there were advantages to both HPS and LED lighting, it’s important for growers to take a hard look at what they’re hoping to achieve to make the right lighting decision.